Here at Trojan Sewing Machines, we offer a wide range of replacement Parts for the Jack Dol 1/2 HP Clutch Motor Machine. Clutch plates, pitman rods clutch arm return spring lithium grease for the bearings. Plus add a little grease to the clutch plate to stop it drying out and becoming noisy. All parts are available for the Dol Clutch Motor. Be sure to keep up to date for the latest product parts that will be added to for the Dol 1/2 horse power Motor. This motors table mounting brackets are universally fitting. All of the product parts we sell at Trojan Sewing Machines are always of the highest possible quality and are always fairly priced. 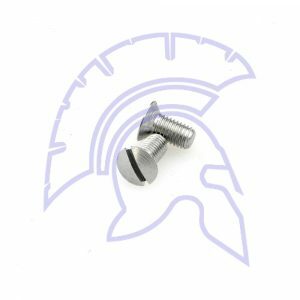 Be sure to browse our many other product parts that we have at Trojan Sewing. If you have any additional questions or enquiries, please click hereto email or phone us on 01516779244. The Needle Plate positioning screw’s are used widely though out the industry. On Generally all sewing machines using a D plate / Throat Plate. Trojan Sewing machines Supply Equivalent Top & Bottom Feed Walking Foot Lockstitch Machines. Model Trojan GC0318-1, Jack fully Electronic Model JK-6380E, & Jack JK6380 Top & Bottom Feed Lockstitch (without Needle Feed) used for Sewing Plastics,Leather and Bulky Work where the Extra Feed helps prevent ‘Ply Shifting’ and Sticking. This sewing Machine is Fitted with Large Capacity Rotary Hook Assemblies and offer Long Stitch Capability (upto7mm). 1 Litre of Industrial Sewing Machine Oil. Water white Non-Hazardous BHT free Synthetic Oil. Ideal for most industrial sewing machines with a self oiling pump mechanism due to its low viscosity. Excellent for use in application where oil may come into contact with fabrics.